Completed in 1961, the Parkes Radio Telescope was the brainchild of E.G. “Taffy” Brown, chief of the Radiophysics Laboratory at the CSIRO (Australian Commonwealth Scientific and Industrial Research Organisation). He had worked on radar development in the US during WWII and had made some powerful allies in the scientific community there. Calling on this network, he obtained commitments from the Carnegie Corporation and the Rockerfeller Foundation to fund half the cost of the telescope. He then used those pledges to convince then-Australian prime minister Robert Menzies to fund the remainder of the project. 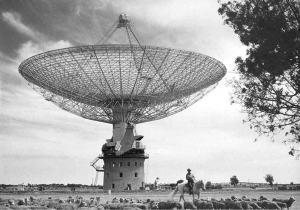 Parkes was one of the first large movable dish telescopes and is the second-largest in the Southern Hemisphere, at 64 metres (210ft) in diameter. The success of its design led NASA to copy it in their Deep Space Network, building matching dishes in Goldstone, California and Madrid, Spain. Parkes is located in central New South Wales approximately 360km west of Sydney on the Newell Highway, which runs between the states of Victoria and Queensland. Originally founded as Currajong (a species of local tree) in 1853 and later called Bushman’s (after Bushman’s Lead, a local mine), it was renamed Parkes in 1873 after a visit from then-NSW premier Sir Henry Parkes. Sir Henry is frequently referred to as the “Father of Federation” due to his early advocacy of a united country of Australia, and was an early critic of British convict transportation and a proponent of the Australian continental rail network. Unfortunately, he died in 1896, five years before the federation of Australia was completed, in 1901. Several gold mines were established in the region around Parkes during the gold rush of the 1870s, and the town became a key transportation hub after the completion of the railroad through it in 1893. However, the use of rail declined in the 1980s and today Parkes’ primary industries are the farming of wheat and wool. 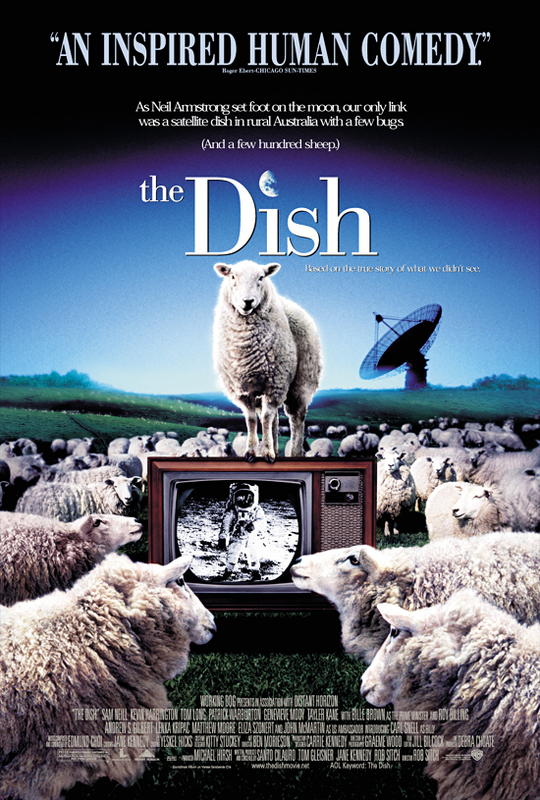 Parkes was the setting of the 2000 movie “The Dish” which loosely chronicled the observatory’s role in the broadcast of the 1969 Moon walk, although some scenes were shot in nearby town Forbes. 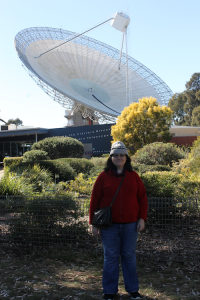 Because of that film, the role of the Parkes telescope in receiving the slow-scan television feed from the Moon is well known. 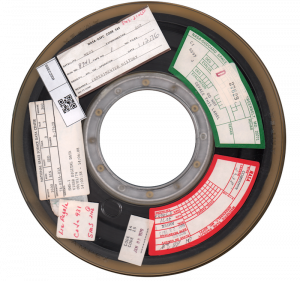 But what is less known is that the original tapes, containing both the slow-scan video and telemetry data from the Apollo spacecraft, have been lost. 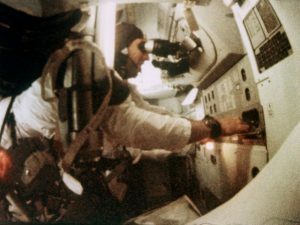 While the Apollo Guidance Computer was designed to be capable of doing the calculations needed for the entire flight, Mission Control was more comfortable doing what they could from the ground. 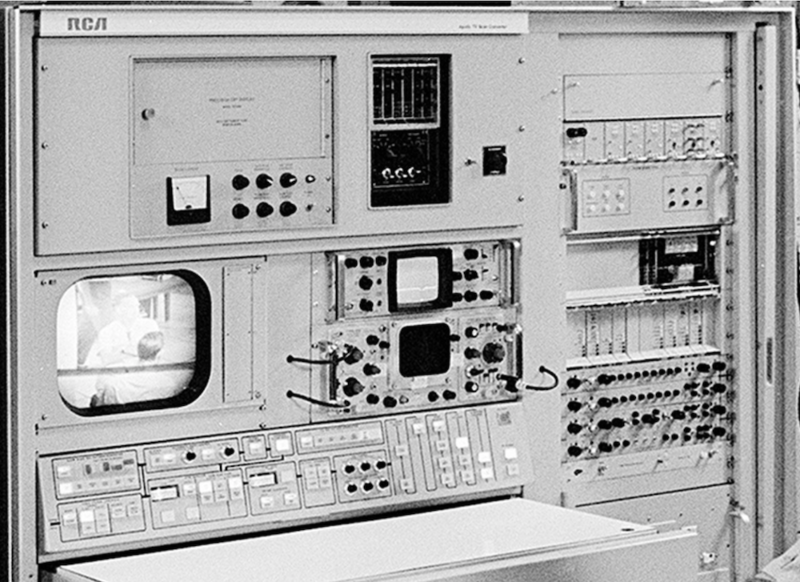 For that to happen, the spacecraft needed to transmit relevant data back to Earth, where it was calculated using mainframe computers and the resulting course corrections sent back. Astronauts compared this information with the AGC and verified it using (of all things) a sextant! Other information included biomedical data on the astronauts’ health and scientific data from instruments installed on the spacecraft. All of this data was sent using the Unified S-Band radio system, and decoded using the Subcarrier Data Demodulation System (SDDS), which demodulated various phase (PM) and frequency modulated (FM) subcarriers that were further modulated using pulse-code modulation (PCM) and pulse amplitude modulation (PAM). That’s a lot of (de-)modulation! 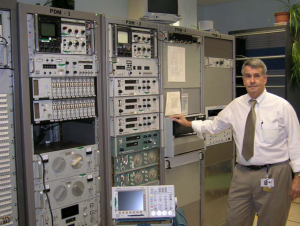 The structure of the Unified S-Band signal was not fixed, and could be re-configured at any time to include any combination of data required. Each tracking station received a site configuration message (SCM) about one hour before the start of each tracking period, so that engineers at the station could configure their equipment for the corresponding “downlink mode” appropriately. Signal flow paths were established using often untidy arrangements of patch cables, which linked each piece of decoding equipment in sequence – get one patch cable wrong and it could all go pear-shaped! Once the data was decoded it was sent on to the relevant NASA departments. For example, the voice signals were relayed in real time to Mission Control via NASCOM (NASA Ground Communications System) undersea or satellite links. 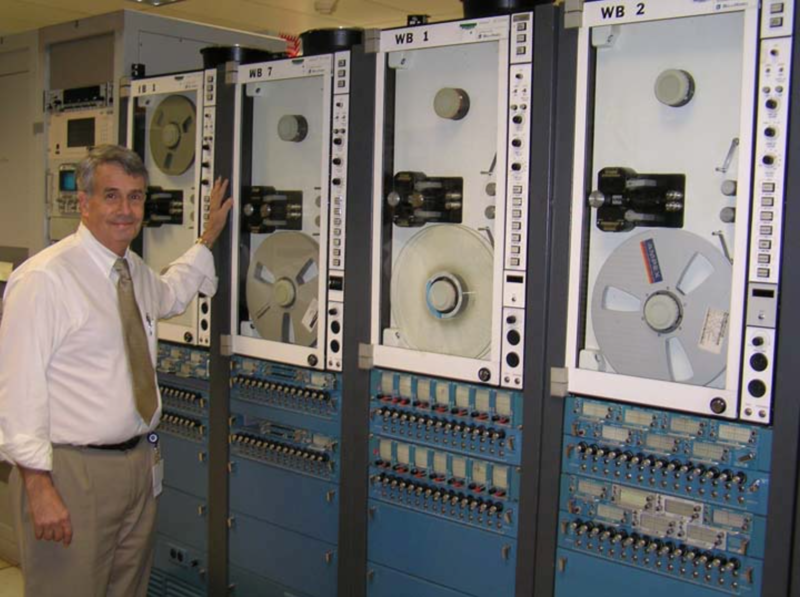 The voice signals were also recorded on magnetic tape, as was the master USB signal. 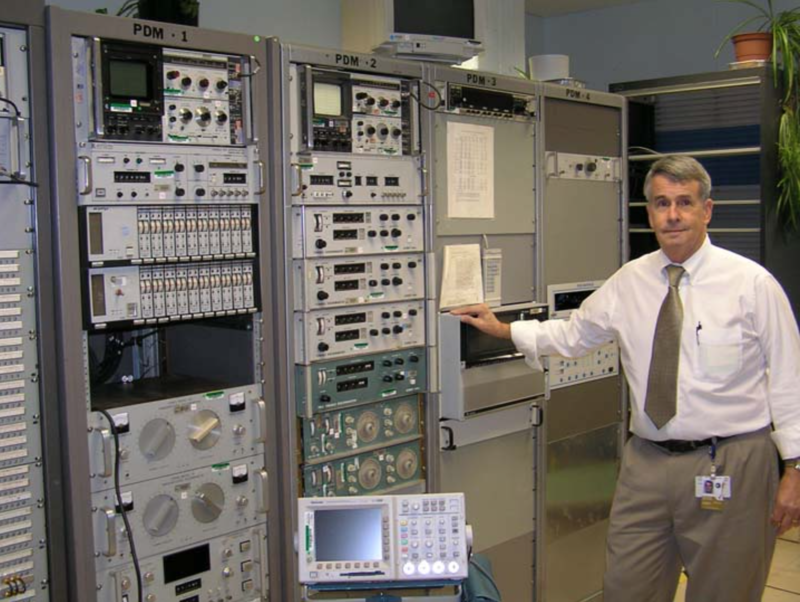 NASA’s Richard Nafzger poses with the Bell and Howell VR-3700B recorders used to capture the Unified S-Band signal. These recorders had 14 tracks and recorded video as well as data at 120 inches-per-second. 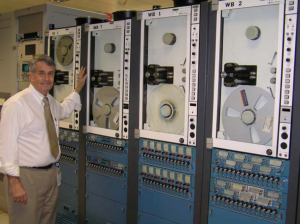 Richard was the engineer responsible for all the systems hardware in support of Apollo 11 TV in July 1969. 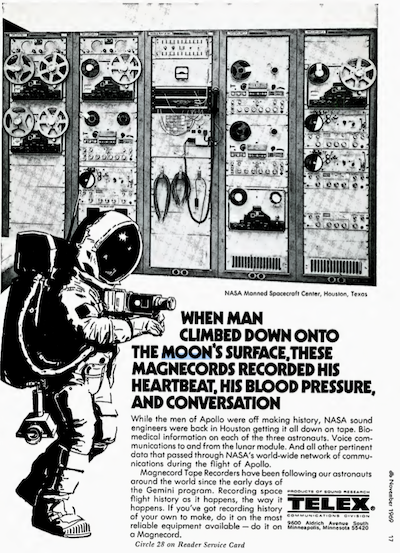 Some of the most important data was biomedical information from the astronauts, which kept Mission Control apprised of the health of the astronauts and could potentially indicate dangerous faults with the spacecraft (or the astronaut!) in advance of their becoming fatal. Various devices hidden in the astronaut’s suits monitored heart rhythm and rate, blood pressure, breathing and body temperature – the last one initially through the use of a rectal thermometer(!) but later via an oral sensor astronauts would insert into their mouths intermittently. This data would become crucial when irregularities were detected with Apollo 15 astronaut James Irwin’s heart after leaving the Moon’s surface and rendezvousing with the Command Module. He had been working with no sleep for 23 hours, and after transferring rock samples from the Lunar Module into the CM Irwin developed an issue with his heart rhythm. 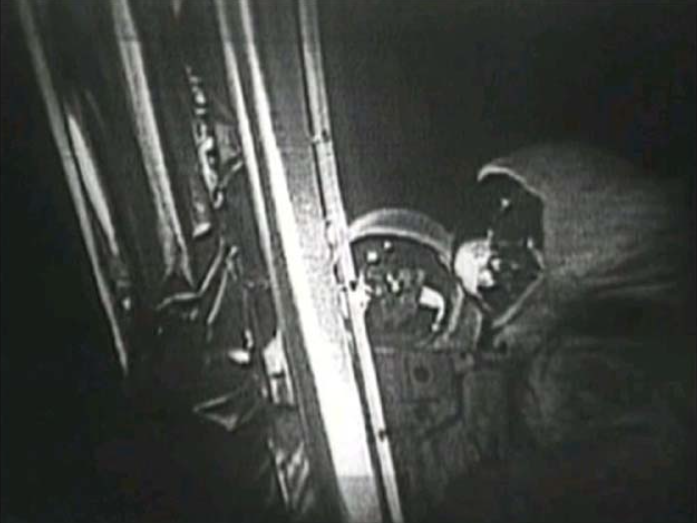 Doctors back at NASA were able to recognise the problem and order Irwin to rest for the remainder of the return to Earth, where he landed safely. Ranging (or identifying the location of the spacecraft relative to the tracking station) was done by transmitting a stream of ‘pseudo-random’ digital code, which was echoed back by the spacecraft and then compared with what had already been sent in order to determine the elapsed time in between sending and receiving. Some simple mathematics then yielded the spacecraft’s distance away from the tracking station. However, this didn’t give you the complete location – for that you needed to triangulate it using the spacecraft’s calculated distance away from multiple tracking stations. To that end the various tracking stations constantly exchanged their ranging data, ensuring that NASA had a clear idea where its spacecraft was at all times. 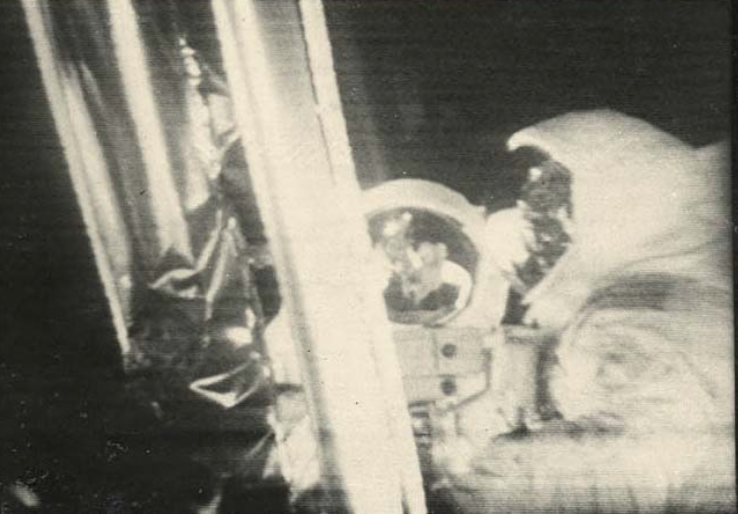 During the Apollo astronauts’ lunar excursion, NASA ground receiving stations (including Goldstone in Australia) de-multiplexed the USB signal and then performed real-time conversions of the SSTV images into more standard NTSC and PAL video formats, which were then broadcast around the world. The converted footage was widely recorded, and as it had become regarded and accepted as the de-facto record of the Moon walk, NASA felt there was no need to keep the original video and so they erased the tapes. The RCA ‘scan converter’ used at Goldstone tracking station. But the converted video was of substantially inferior quality to that of the original slow-scan feed, an issue that has provided fodder for Moon-landing conspiracy theorists, who commonly point to the video as evidence of an attempt to obfuscate flaws in the presentation of the moon walk “performance”. 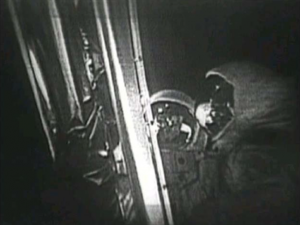 After several high-quality still images of the SSTV video feed surfaced in the 1990s, a team of former NASA employees and contractors began a search for copies of the telemetry tapes in the early 2000s. The video was multiplexed with other communications and other data channels when it was beamed from the Lunar Module back to Earth, where the signals were separated, and the video was displayed on a high-quality slow-scan monitor which was then recorded by an NTSC television camera. 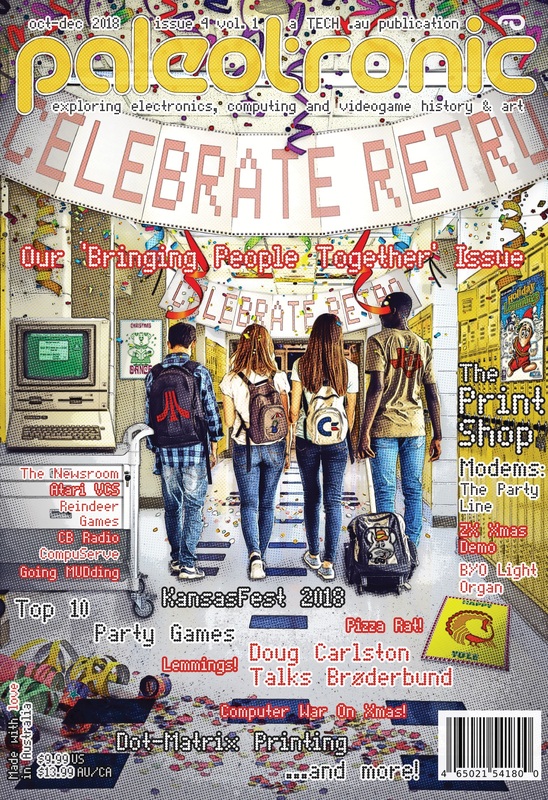 Although the SSTV feed was only 10 frames-per-second, the slow-scan monitor had persistent phosphors, which eliminated flicker and allowed the conventional video camera to record its screen. However, limitations in both the monitor and the camera significantly degraded the original signal’s contrast, brightness and overall resolution. The NTSC video provided by Goldstone in the first few minutes of the Apollo 11 moonwalk are particularly subpar. A Polaroid image of the raw SSTV image received at Parkes. – there is much more detail. The already-poor signal was then transmitted up to a satellite and back down to Houston, Texas, where it was then sent by microwave relay to New York and then finally distributed to the television networks which then sent it to affiliates – each one of these steps added additional noise and distortion to the images, and this was what was recorded and became the official record of one of the greatest moments in human history! 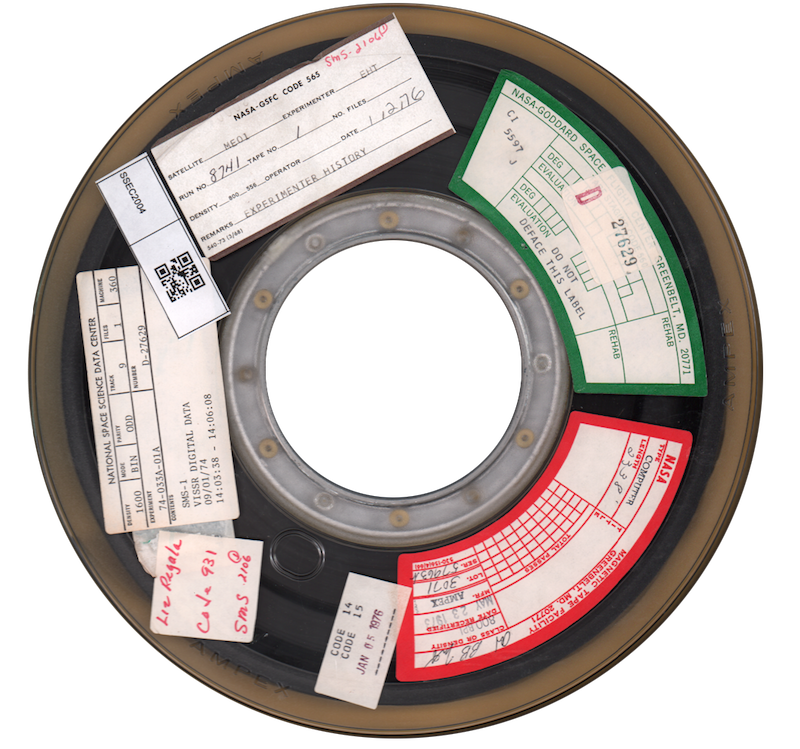 But if originals or copies of the one-inch data tapes with the raw, unprocessed signals could be found, then modern digital technology could create a flawless representation of the video information encoded within, similar to what a lucky few were able to witness at the ground receiving stations prior to conversion to NTSC. However, the informal search was unable to find any telemetry tapes. But it did locate an amateur Super 8 movie shot at the Honeysuckle Creek (Canberra, Australia) tracking station briefly showing the SSTV monitor. After the Sydney Morning Herald published a story about the missing tapes in 2006, NASA launched an official search, suggesting that the tapes could be at the Goddard Space Flight Center in Maryland. However, no tapes were located there. Some tapes were unearthed at a university in Perth, but they didn’t contain any video. Unfortunately, in 2009 NASA declared the search over.